If you’re an avid backpacker or hiker, finding your way to your destination is very important. Hiking in the woods, even for seasoned veterans, can be challenging since it can be easy to get lost even after just a few meters in. In the old days, hikers and backpackers used maps or their memory to navigate through the woods or trail to find their destination. Nowadays, navigating is easier thanks to having the best hiking GPS on your side. This device is similar to those found in cars, but a handheld GPS knows more about terrain and topography rather than roads and streets. 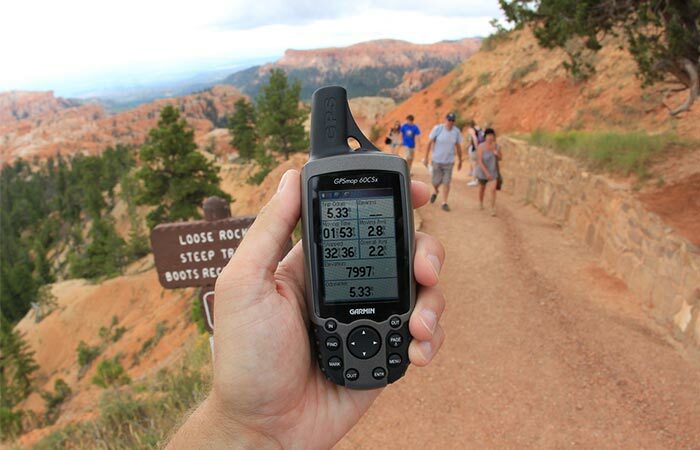 Handheld GPS units are intended to log and store data during your hiking adventures. They are built to withstand extreme weather conditions and to determine where you are and where you have been. That’s why, before buying one, you need to consider what you are going to use it for and how much you are willing to spend. The problem with choosing a hiking GPS is the variety available in the market. There are many different products to choose from. So, if you’re looking for a GPS, consider these tips to make your choice easier. One of the reasons why hikers, backpackers, and mountain climbers buy handheld GPS units is so that they won’t get lost. Going on an adventure is fun and exciting but all of us want to find our way to the destination easily and back home without getting lost. This is why reception is crucial when you’re trekking in unknown territory. GPS works by bouncing signals from your unit to satellites that orbit the planet. It calculates your position by subtracting the time from when it was sent to the time it was received. Now you can imagine that, without sensitive receivers, the GPS unit would have a hard time sending or receiving signals to and from the satellite, resulting in wrong data, incorrect positioning, and inaccurate location. You could end up getting lost due to poor reception. Another consideration is navigation and maps. Not all handheld GPS units are set up to receive topography maps. This is fine with some hikers and backpackers; however, this feature can be very important if you’re navigating a new trail or a particularly hard one. Basic handheld GPS devices have mapping units but some of them aren’t detailed enough. Fortunately, there are many free maps you can download and install in your hiking GPS. Another thing to consider when buying a hiking GPS is if you want a handheld one or a smartwatch. One of the great things about using GPS on a smartwatch is portability. You can check your location just by raising your wrist, and it’s pretty lightweight too. Aside from this, smartwatches also have other features like the ability to check email, text messages, or phone calls. 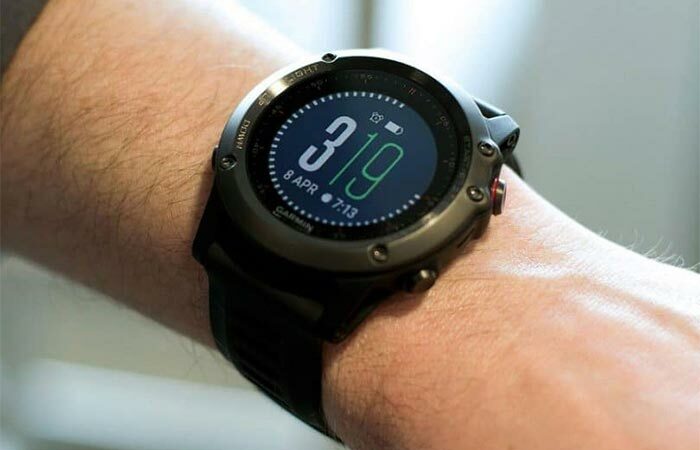 On the downside, smartwatches can be more expensive and are more difficult to use due to the limited screen size. In the end, if you want something small that’s packed with features, go for the smartwatch. We can recommend the Garmin Vivoactive unit or the Garmin Forerunner 220. Handheld GPS has been the standby of hikers for many years. Handheld units have bigger screens so you can easily see where you are going compared to a smartwatch. However, you have to pull it out every time you want to see your location. These units are also not always cheaper either – generally, the more features and add-ons it has, the more expensive it becomes. A handheld GPS is what you need if you’re not interested in extra features (besides the ones connected to navigation and maps). In this case, you should take a look at Garmin Gpsmap 60csx navigator – it’s small and compact which makes it perfect for any hiker. Cost: this is always important because you don’t want to spend too much on a unit, especially if you don’t need the added features. You also don’t want to buy a cheap unit because it might not come with the capabilities you need. When choosing a GPS unit, buy something you can afford but has all the necessary features you need. The inclusion of maps: you also want to find out what maps are included in your GPS units. 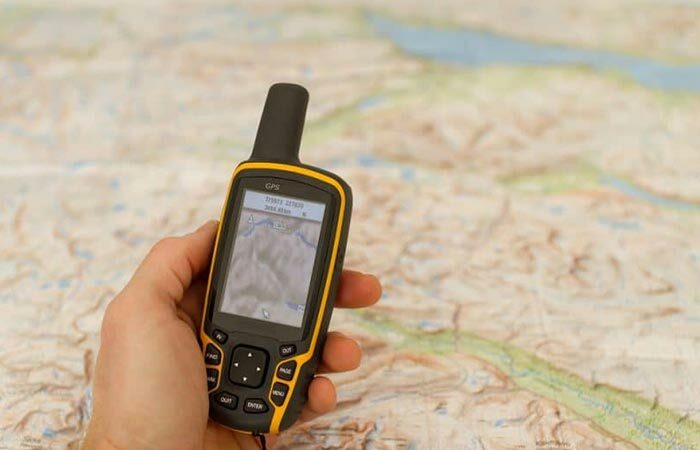 Most handheld GPS come with maps already in place so you can use them immediately without having to upgrade anything. Before buying a unit, check out what maps are included – you don’t want to overpay if it is loaded with maps you don’t need. Also, you should check to see if it’s easy to add maps that you need. Added features like topography maps can be a godsend when you’re hiking. These will help you know what kind of terrain to expect so that you can prepare adequately. Other cool features to look out for include barometric readings that can tell you temperature and weather. Altitude is also a cool feature for mountain climbers. All these features can be useful depending on where you go. Durability: hiking GPS units can be expensive so make sure that the unit you buy is durable and dependable. You don’t want something that breaks easily when you’re in the middle of nowhere. It has to be able to withstand different weather, temperature, and altitude. Battery life: Make sure that it can last between charges so that you have all the juice you need while hiking or backpacking. An ideal hiking GPS should be easy to charge or replace batteries. The kind of GPS to buy is up to you. However, make sure that your unit is durable, has good battery life and receivers as well as added features that can be useful on your adventures. A GPS that has these features will be worth the cost and will help you not get lost in the wilderness.